China Galvanized Welded Wire Mesh, Rabbit Guard Fence, traight And Cut Wire, Stainless Steel Welding Wire Manufacturer. Product categories of Welded Wire, we are specialized manufacturers from China, Welded Wire, Galvanized Welded Fence suppliers/factory, wholesale high-quality products of Welded Wire Mesh R & D and manufacturing, we have the perfect after-sales service and technical support. Look forward to your cooperation! 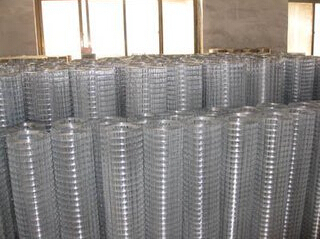 Welded Wire Mesh(Hardware Cloth) is made of high quality Iron Wire through automatic process and sophisticated welding technique,laid horizontally and vertically welded at every intersection. The end products is level and flat with sturdy structure. It is used in industry and agriculture, building, transportation and mining for all such purpose as poultry house, egg baskets , runway enclosures, fence,Rabbit Guard Fence,etc. Cut wire is a kind of tie wire made with iron wire cutting to certain sizes after being straightened. Wire materials for straight cut wire can be bright iron wire, annealed wire, electric galvanized wire, PVC coated iron wire or painted iron wire. It is easy for transport and handle, finds popular application in construction, handicrafts or daily use. We also supply tie wire in coils and other forms. Straight And Cut Wire is also called cut wire. Straight Cut Wire is made of Galvanized Iron Wire straightened then cut into pieces of various lengths according to your requirement.